First up: paperback book covers. These are always a PITA to do because all of the POD have slightly different available trim sizes and each book requires a custom spine size, which effects the overall dimensions of your book cover. This particular ‘how to’ isn’t going to go into photomanipulation or fonts, as I’ve already discussed that at length in my “When to Pay, When Not to Pay” series. This time I’m going to cover finding the dimensions for your paperback book reliably, easily and without too many headaches. Unlike with your ebook covers, which are a standard rectangle (usually 800×600 pixels) each paperback or hardcover book’s cover is unique thanks to things like ‘page bleed,’ ‘trim area,’ ‘live area,’ and the all important, all frustrating, spine width. Thankfully most of the POD sites offer some form of book cover ‘calculator’ that will estimate the overall size of the book cover for you based on the size of the book you want or they offer templates that are both completely useless and a big help. Alright, first decide on which POD site you’re using (this time I wanted to use Lulu as I want a proper pocket book sized novel but as I went on I realized they were not cost effective so I’m back with Createspace though I hate them). Find their templates page and download a template for the inside of your book as well as the book cover. Next: get a rough and dirty working estimate of your page count. 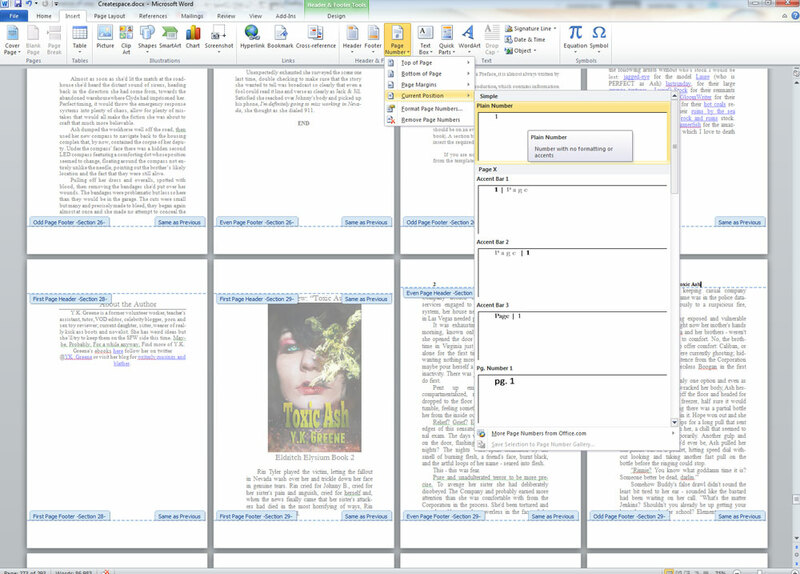 Open the interior book template, locate the section where your text would go and highlight all of it. Open your book and hit ctrl+a then copy the entire text. Go back to the interior book template and paste the unformatted copy of your book into the highlighted section, in entirety. Wait for it to load, then look at the final page count of your novel. You might want to adjust fonts and font size now to get a slightly more accurate page count. Go to the site’s book cover calculator, paste the page total in to the calculator where required. Now things get slightly different for Lulu vs Createspace. The following is a very rough and tumble summary of final fine tuning for your images. If anyone gets lost, please post a comment and I’ll amend the guide with additional information to answer you questions.